Ortsac Cigars features a storyline that follows an actual military operation from the Cuban missile crisis days. With a Nicaraguan Corojo wrapper, Dominican binder, and filler blend from the Dominican Republic and Nicaragua, Ortsac cigars pack a sweet and subtle pepper taste. 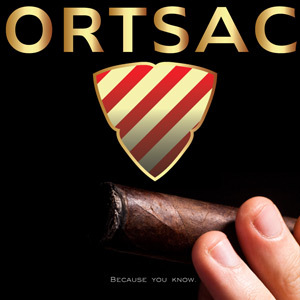 Ortsac cigars are the new cigar that is a direct target to old Cuban Cigars when they were the best. Not any longer, Ortsac cigars have turned that around... turn the name "Ortsac" around and you'll see why. Receiving an 87 rating from CigarStats.com, these cigars a must buy. Try the new Ortsac Bullet Proof cigar, it is blend that was finished after a 2 year process. It is quite the smoke, so try the Bullet Proof cigar, which does come in a bullet proof case!